The South African National Prayer Movement For Change National Conference will take place at God’s Tabernacle Christian Family Church in Polokwane, Limpopo from Thursday, November 27 to Saturday, November 29. Continuing with last year’s conference theme of ‘raising a Godly priesthood through teaching and prayer’ the conference will “cry out to God not only for the nation to return to the Lord but the church to return to the Lord”, says Pastor Laurette Mkati, Secretary of SAPMC in an invitation to Christians from all over South Africa to participate in the conference. The first conference topic of Holiness will focus on the issue of sexual immorality and greed which were the sins of the sons of Eli which angered God and ultimately caused them to lose not only their priesthood but their lives because of their unwillingness to repent. The second topic will be Deception. Over and above the plenary sessions there will also be workshops on these topics. This year in addition to the prayer sessions within the conference, there will be 12 hours of ongoing prayer each day running on site during the conference. Intercessors began 40 days of prayer preparation for the conference on October 19. 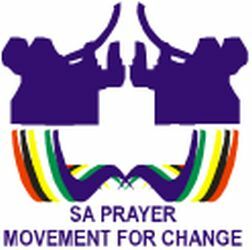 Prayer points for the 40 days are posted periodically on the Facebook page SA Prayer Movement for Change. Registration for the conference is R250 which includes lunch and supper every day but not accommodation. The registration form can be downloaded here. Laurett Mkati can be contacted at 084 753 1538 or intercessors.ec@sainet.co.za.